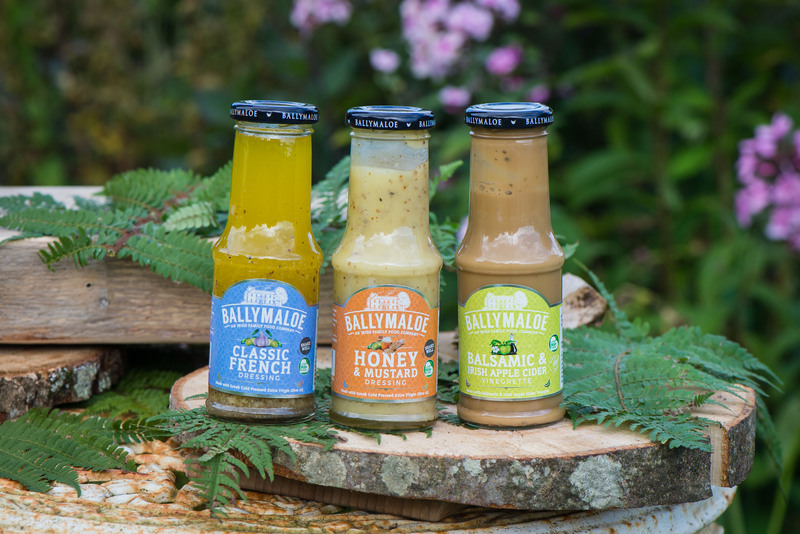 Everyone here at Ballymaloe Foods are delighted to announce a positive change moving our salad dressing range from plastic to glass and adding a delicious Balsamic & Irish Apple Cider Vinegrette to the range. The new dressing packs a lot of flavour into one bottle – using Long Meadow Apple Cider Vinegar made by the wonderful McKeever Family in Armagh, with Balsamic Vinegar, top quality Extra Virgin Olive Oil and seasoning with some honey for sweetness. This dressing livens up any simple green leaf salad, or delightful with a rocket and feta salad and tossed with seasoned cherry tomatoes. In all our tasty salad dressings we use good quality vinegars, never dilute with water or add artificial emulsifiers or preservatives and use cold pressed Extra Virgin Olive Oil, made in the heart of Greece. Increasing our commitment to sustainability, we are making the big move from plastic to glass. There will be a little more shaking required now, but we promise it’s worth it!